Concrete pillars are crucial - they're known for holding up buildings, being towers of strength - it's the same analogy for content pillars. The use of pillar pages is an approach fashioned by inbound marketing leaders, HubSpot. Pillar pages take time to build, but ultimately become a foundation that holds everything else together. They structure all of your content marketing ventures and are designed to also be comprehensive guides on a particular topic that you're hoping to rank in the search engines for. For example, we have lots of blog posts on inbound marketing and all of the fantastic opportunities that inbound marketing can bring North East SMEs. Our pillar page on the subject works to tie all of this content together - positioning us as experts. A great article from HubSpot highlights the changes in search and how we find content online, making it paramount that we change the way our content is styled and structured. Thanks to the rise of voice search and our continual general self-awareness, we're asking more conversational, longer, specific questions that we may have previously. People are now less likely to search "financial advisor", but instead, "how will a financial advisor help me?". With the advances in Google's machine learning programmes, Google is always getting much better at providing the right searches that answer those more in-depth questions - so you need to be providing pillar pages that provide those answers and more. When HubSpot first announced the shift to pillar content, they used some brilliant graphics to share what they did. 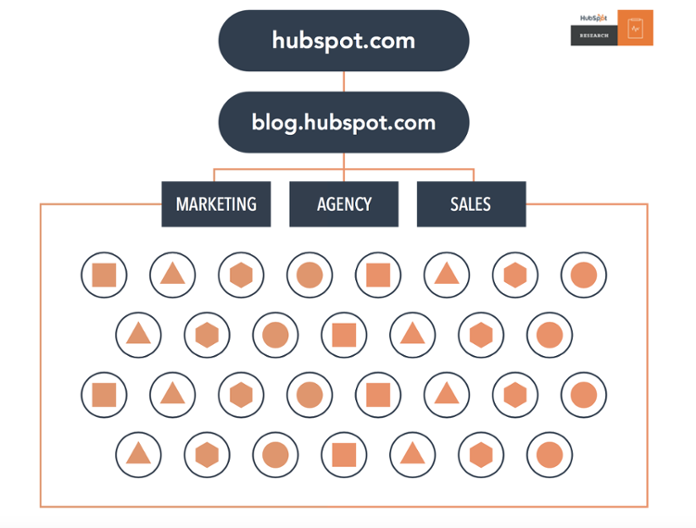 As you can see, originally, HubSpot's content was all under the three service umbrellas, covering a wide range of keywords and tags. Now the blog is refined into more wide-reaching categories, with all of the supporting content for these resources being specific to these refined categories. Today, HubSpot and content marketers everywhere are making a shift to focusing on carefully selected long-tail keywords. Indeed, here at Thrive, we're in the process of launching a number of pillar pages and amending our huge back catalogue of blog posts to link into these key areas of focus. 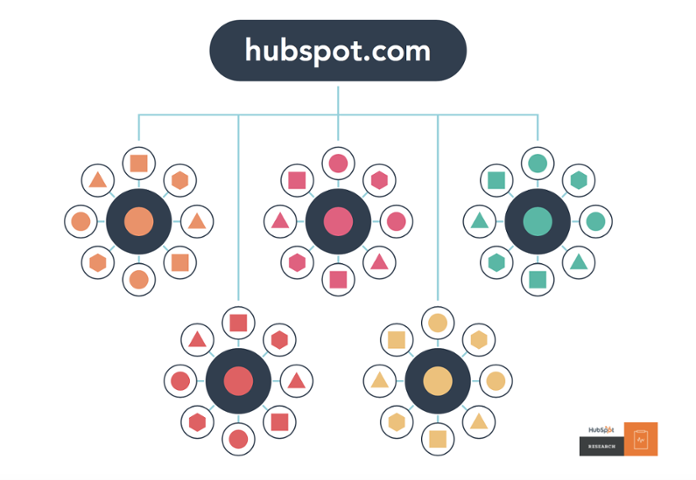 Please note: Pillar pages are supported by the Content Strategy logic available on the HubSpot marketing platform. Pillar Page Marketing: What Is a Topic Cluster?